I’m a huge fan of garlands because they’re a really easy way to decorate for an upcoming holiday or party. While Valentine’s Day isn’t quite as popular a holiday to decorate for than some of the other ones, you can’t deny that the decorations are adorable! Here are some easy ways to add some Valentine’s Day festivity to your home with garlands. These cute and fuzzy friends are so fun, you may not want to take them down! 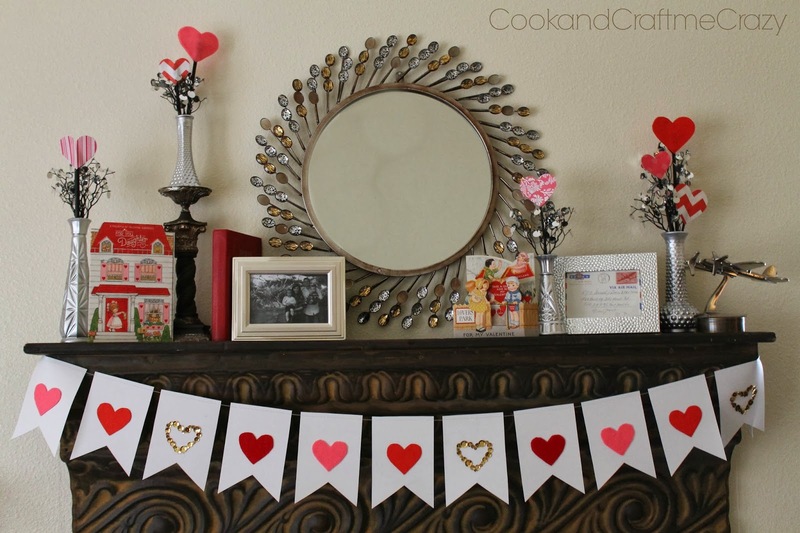 Add some personality to your Valentine’s Day decor with this vintage inspired garland. I love how simple this heart banner is, but it still has interesting varying textures. I love that extra sparkly touch with the gold hearts too. 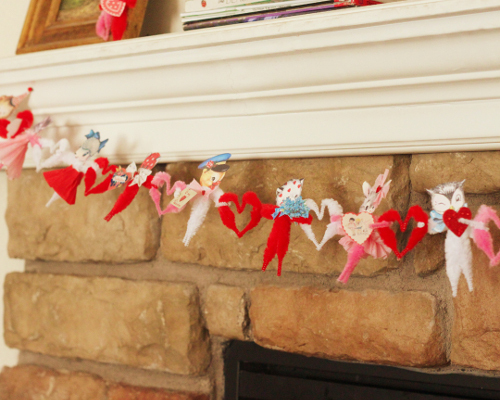 Learn how to fold tiny paper hearts and turn them into the sweetest garland. I’m a fan of how delicate this garland is, and it’s light enough to just need washi tape to hold it up! If you’re expecting freezing temperatures to stick around through Valentine’s Day, why not decorate the outside of your home with a fun ice garland? I seriously can’t get enough of this idea. It’s so unexpected, and a perfect activity for kids. Valentine’s Day decor doesn’t just have to be pink and red. Create a glam gold garland and show off your expensive taste. Do you decorate for Valentine’s Day? If you’d like to add some more garlands to your Valentine’s Day decor, check out our Craft Trends Pin Board for more ideas. This entry was posted in Bunting & Garlands, Craft Trends, Crafts, Valentine's Day and tagged fabric crafts, Hearts on January 28, 2017 by Joselyn.